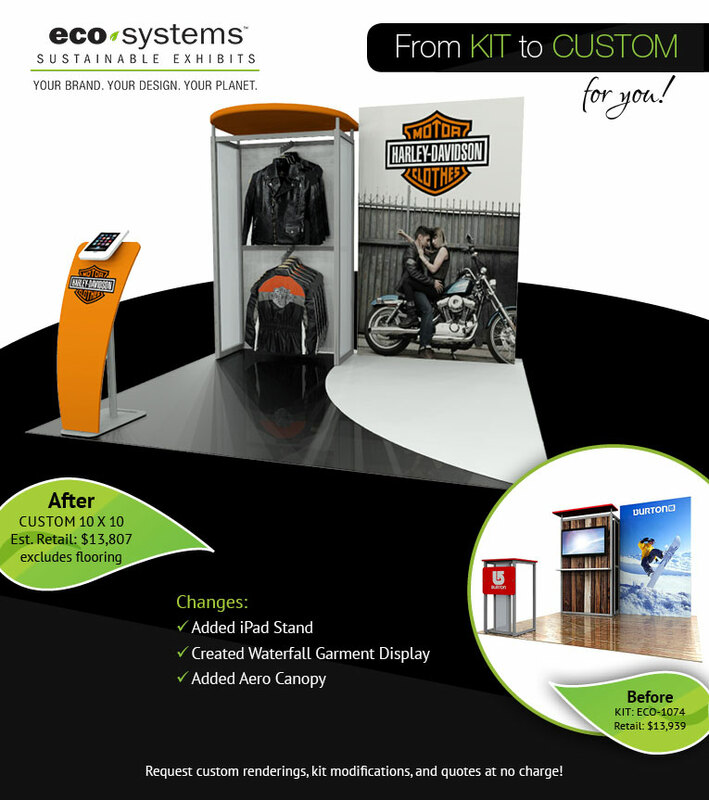 We love design challenges and every two weeks, we feature Kit To Custom examples from client projects. 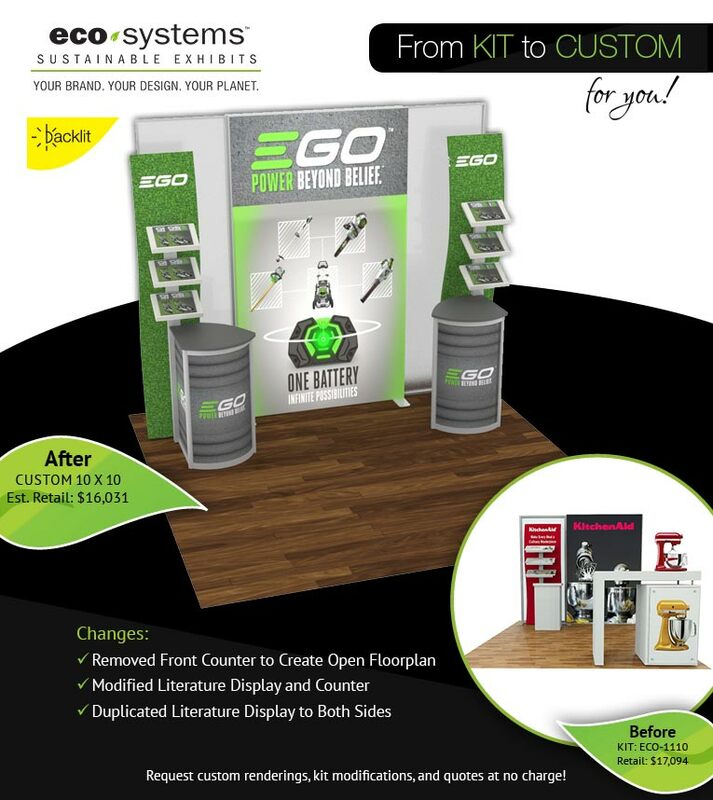 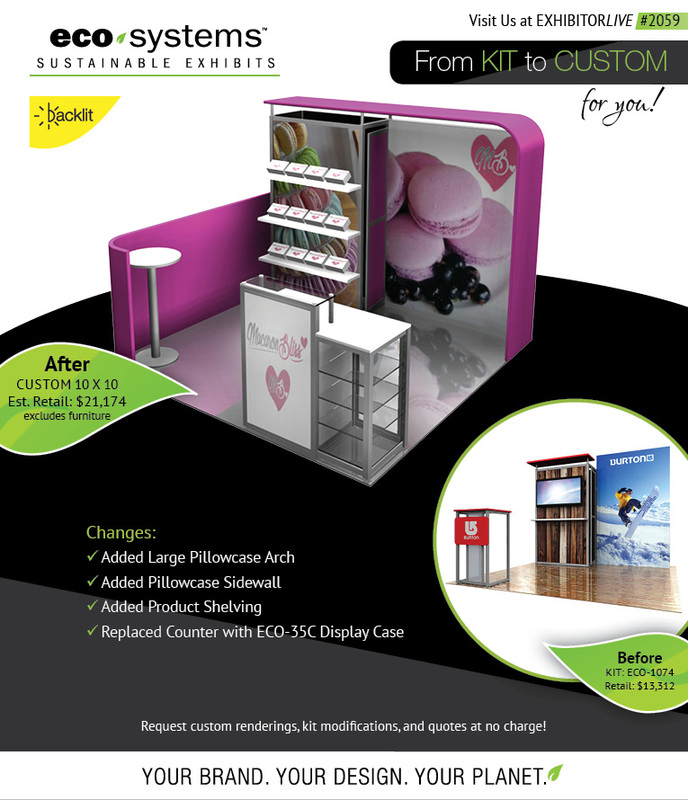 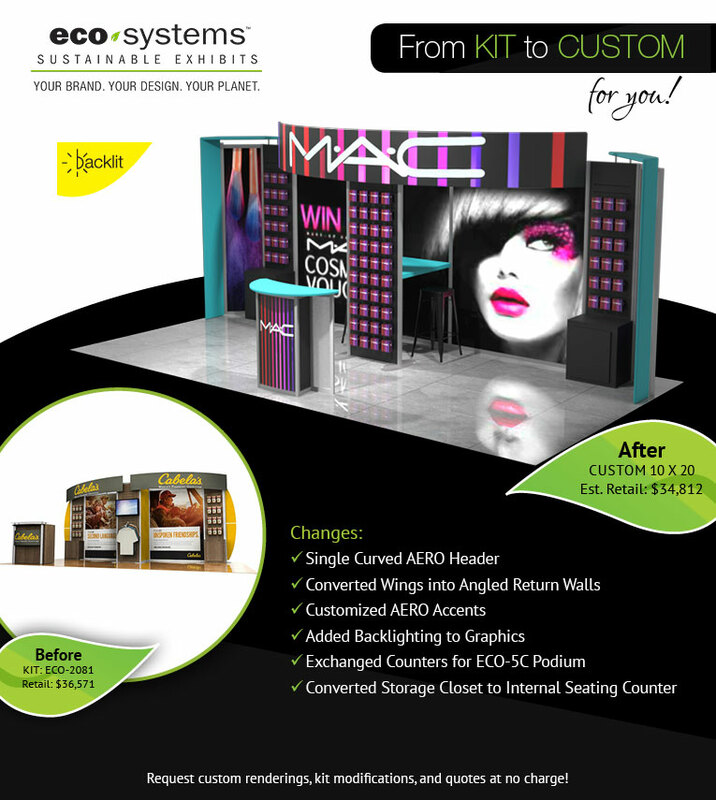 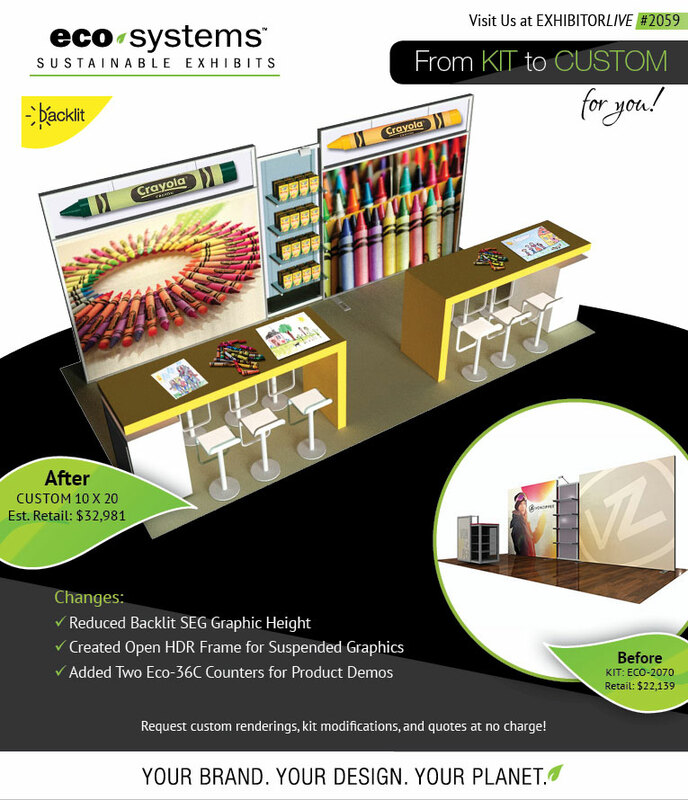 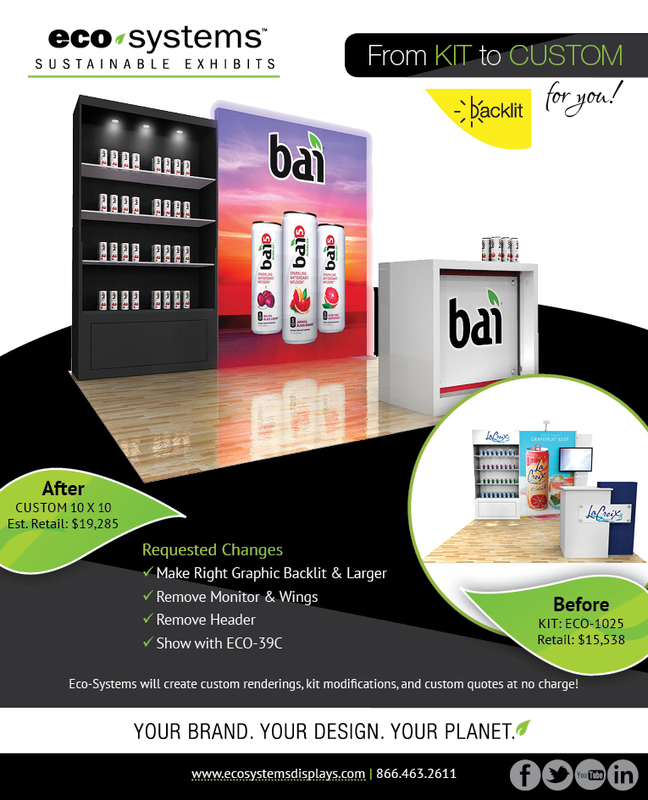 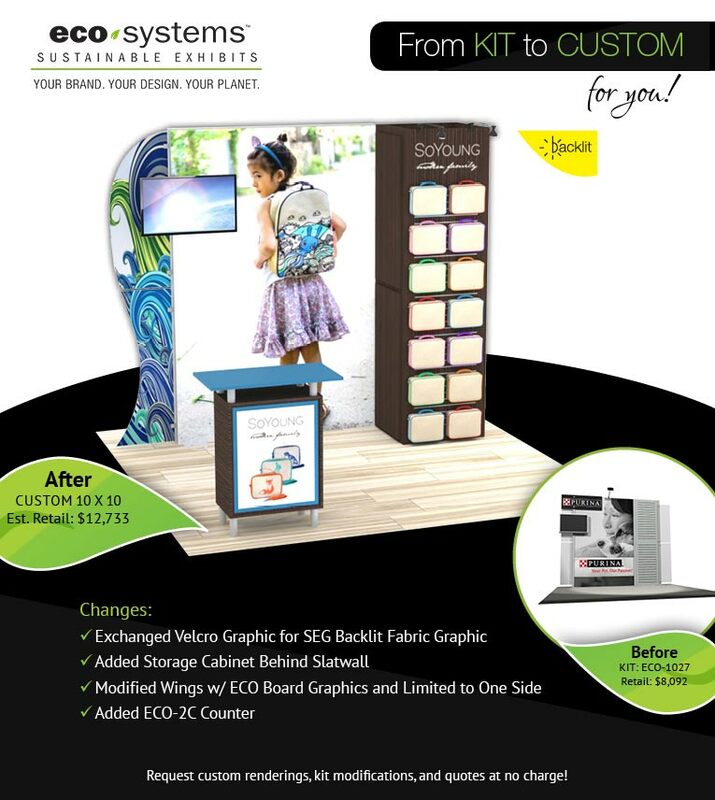 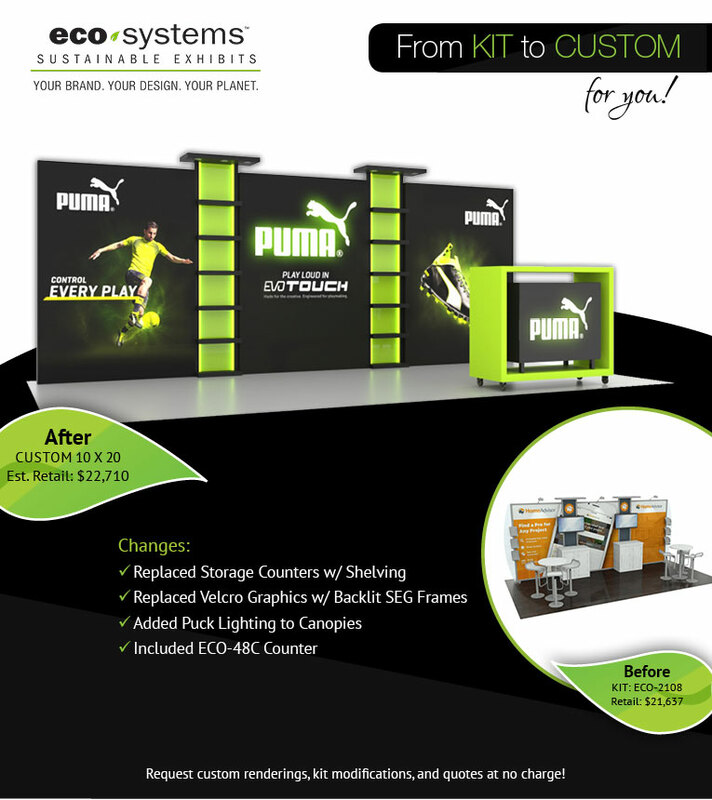 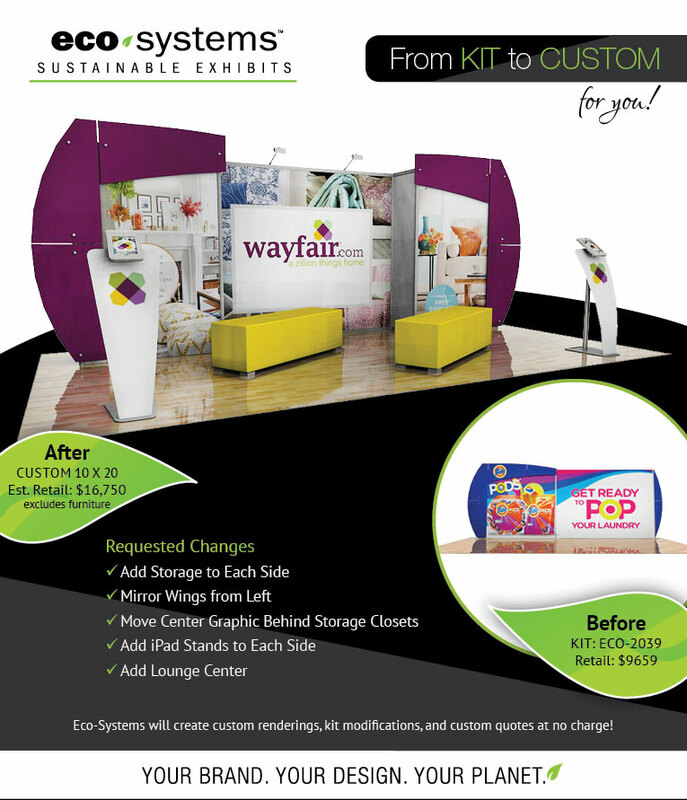 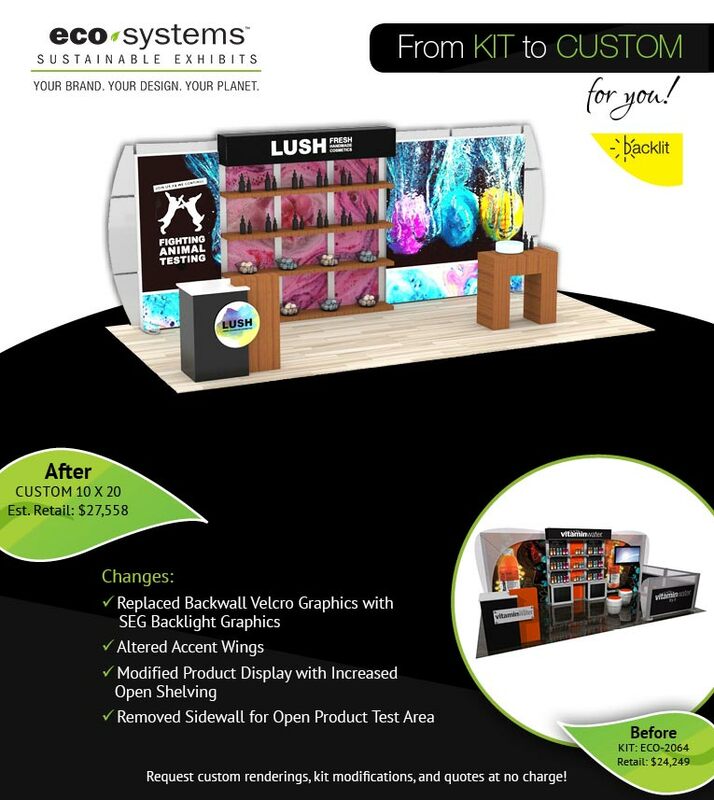 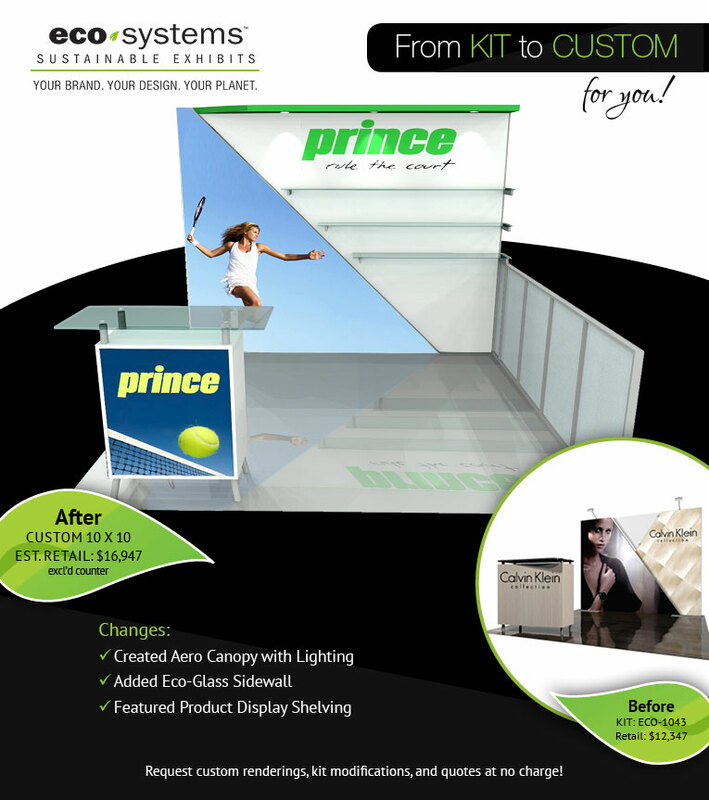 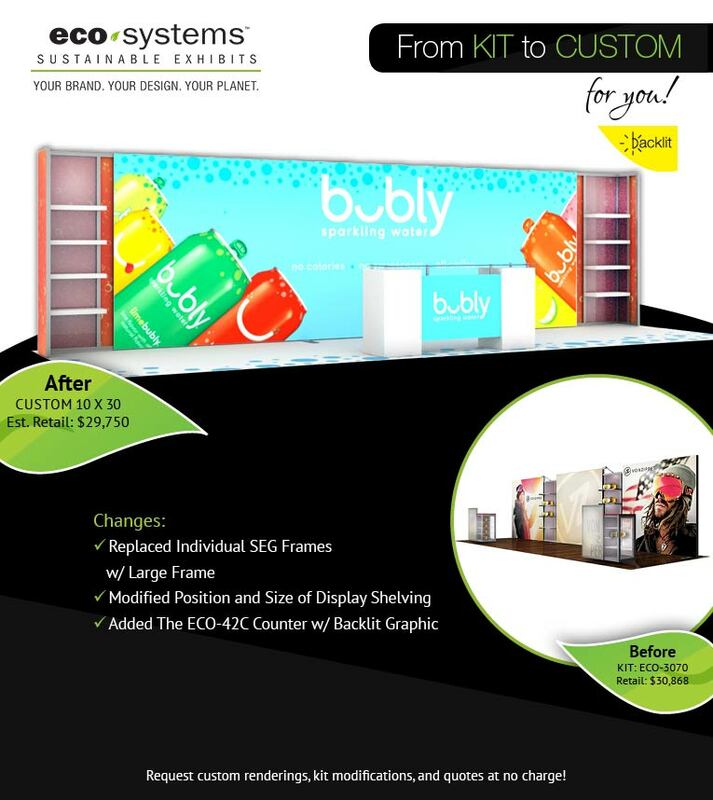 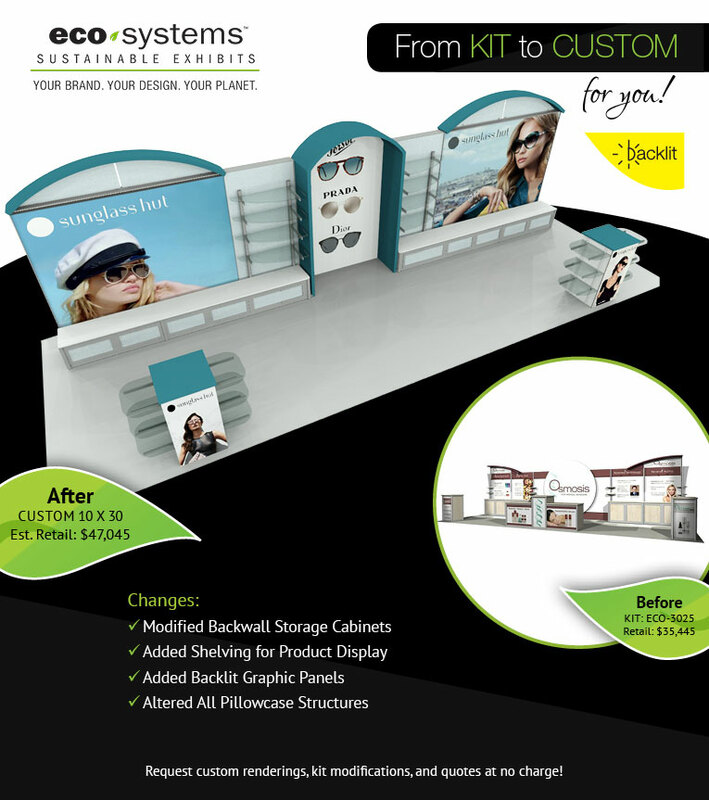 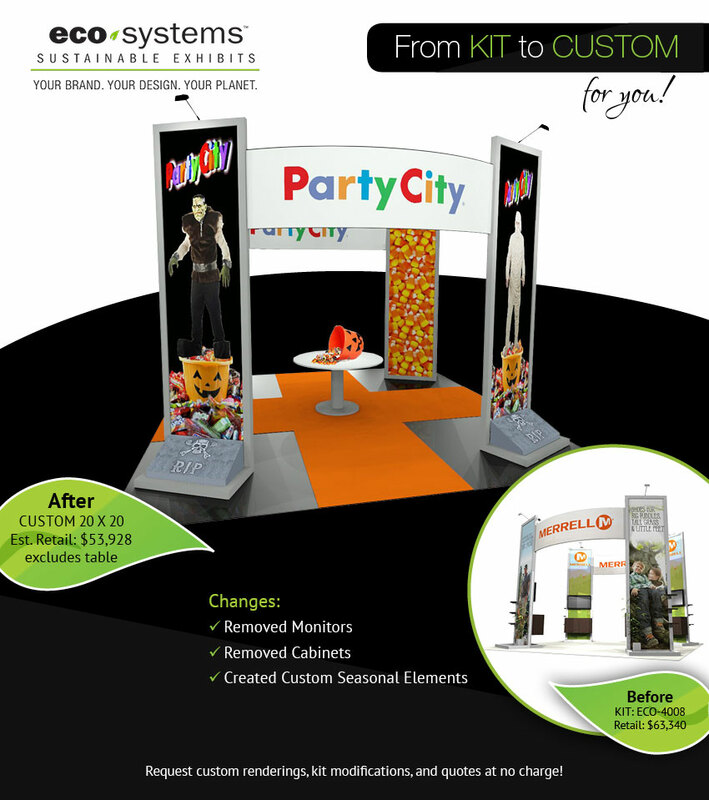 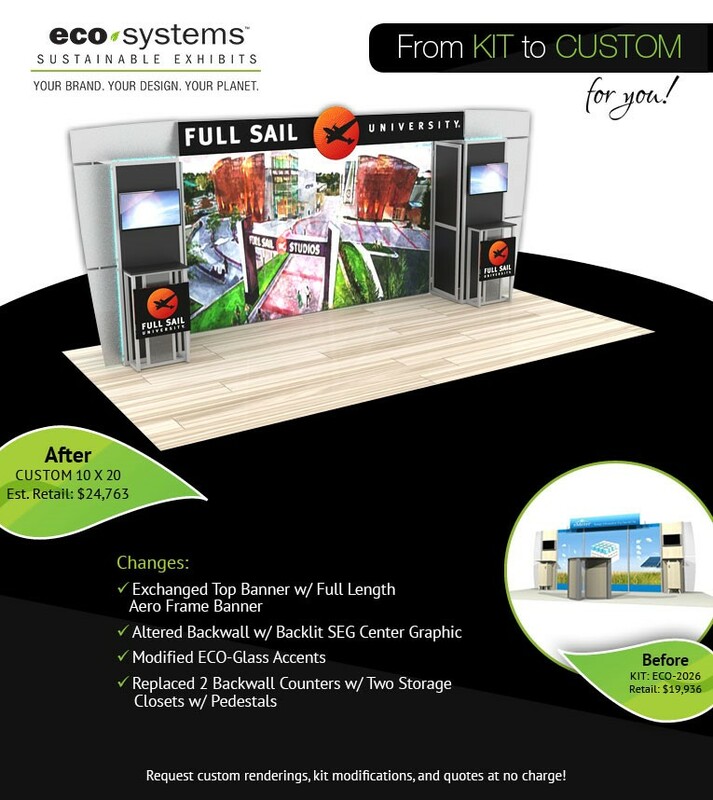 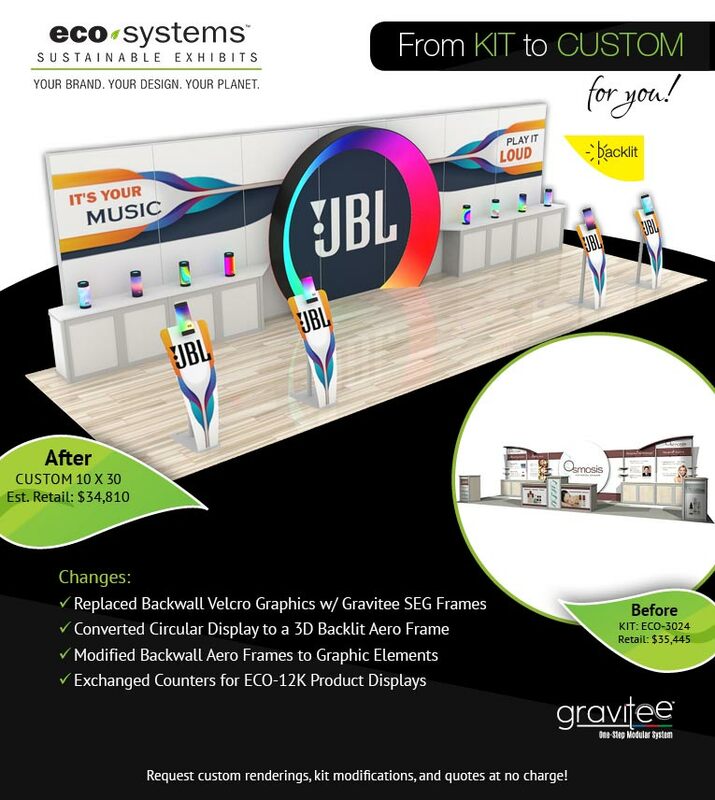 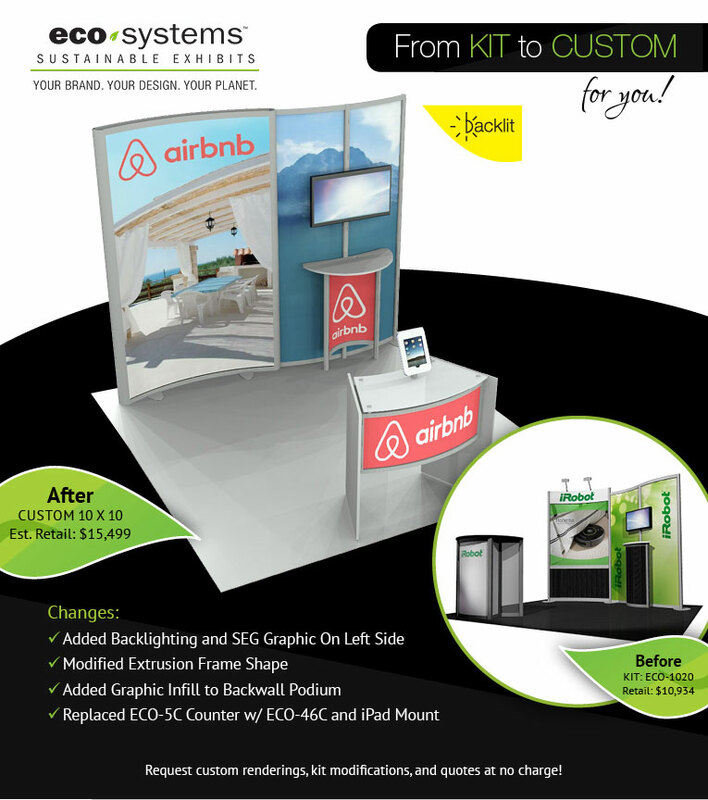 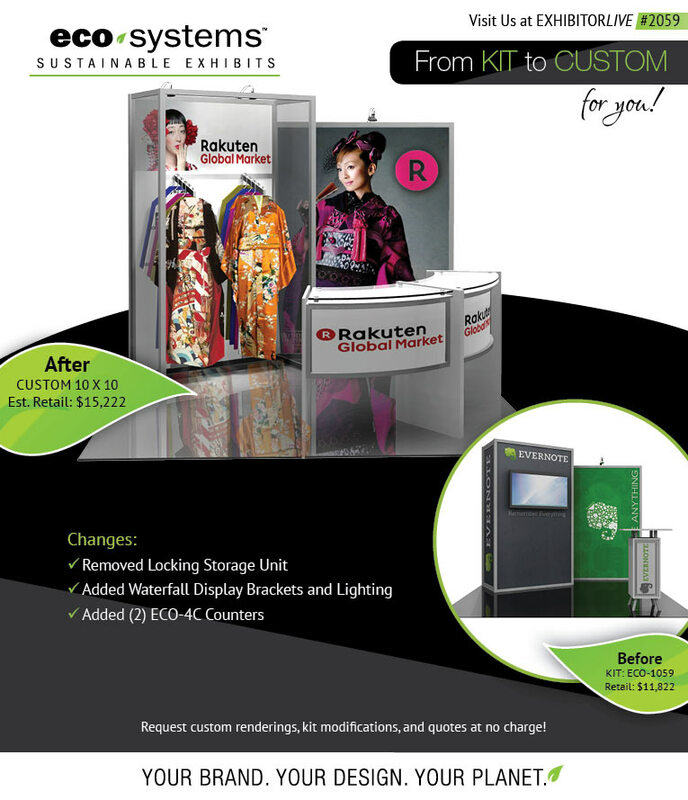 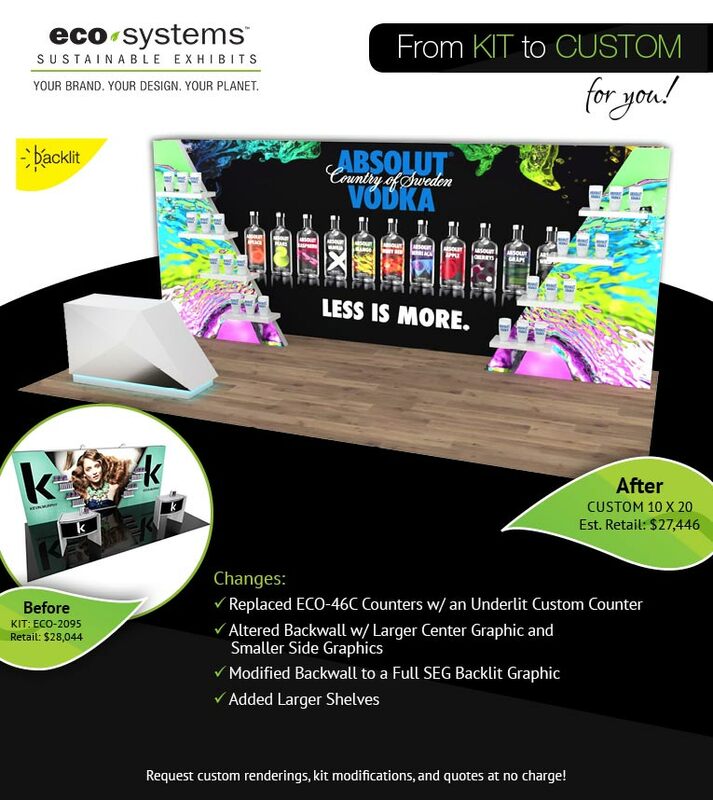 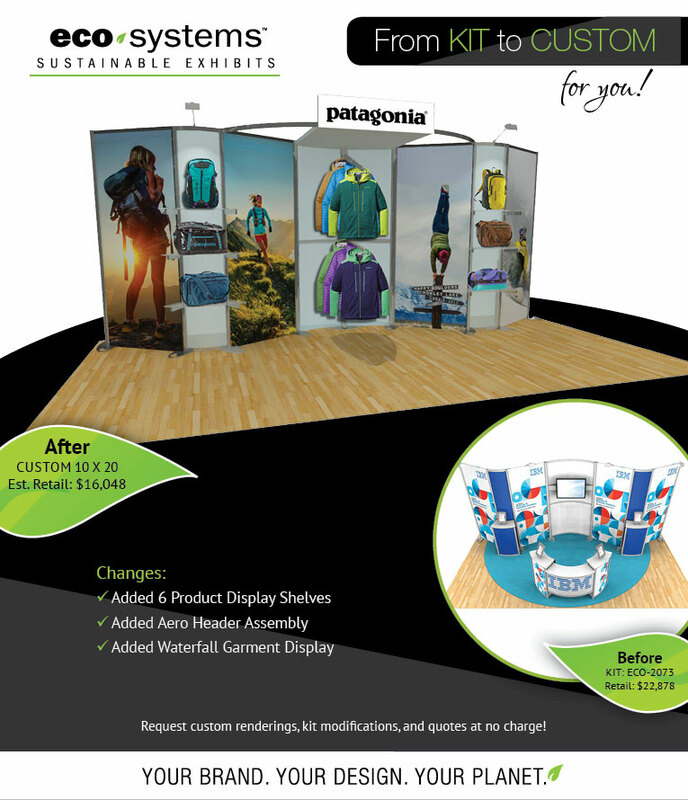 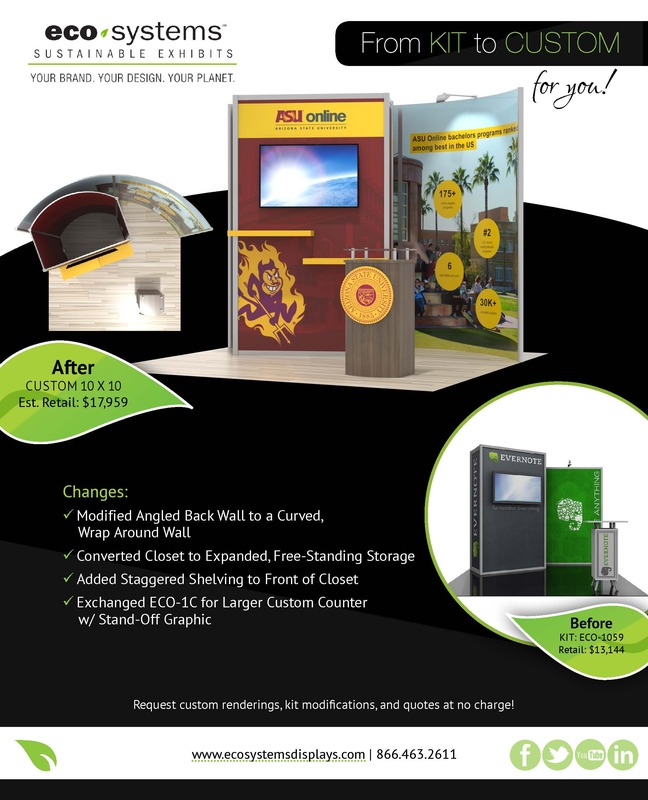 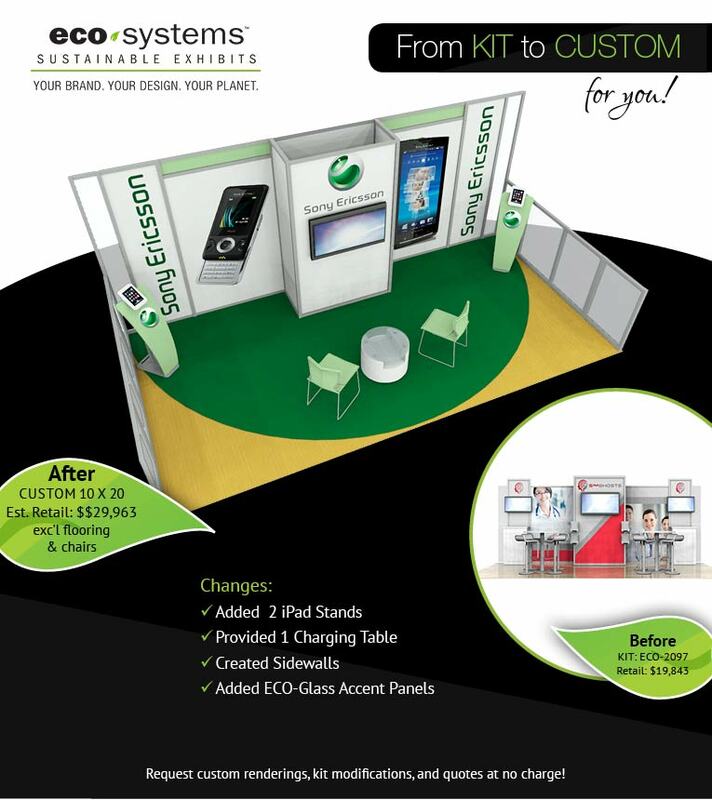 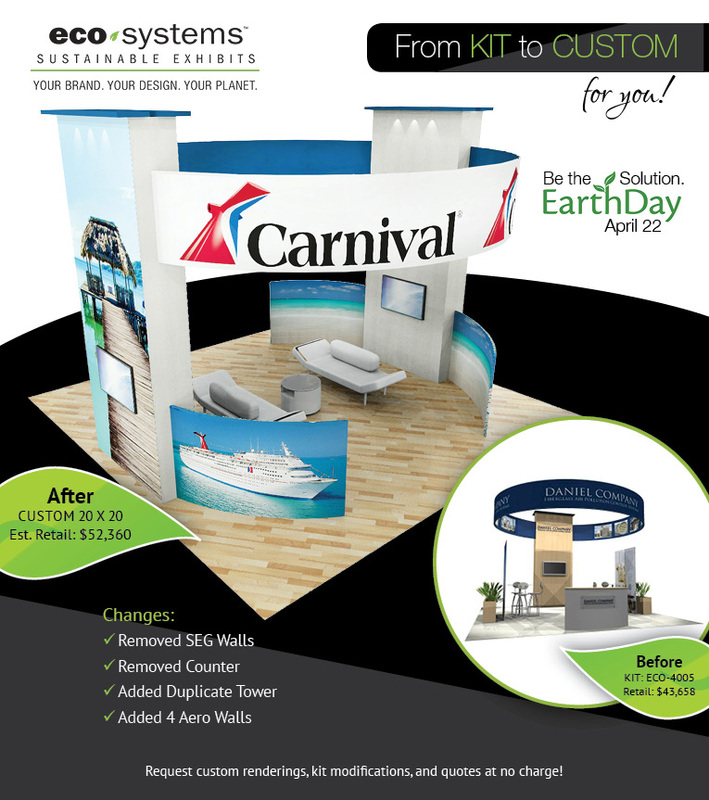 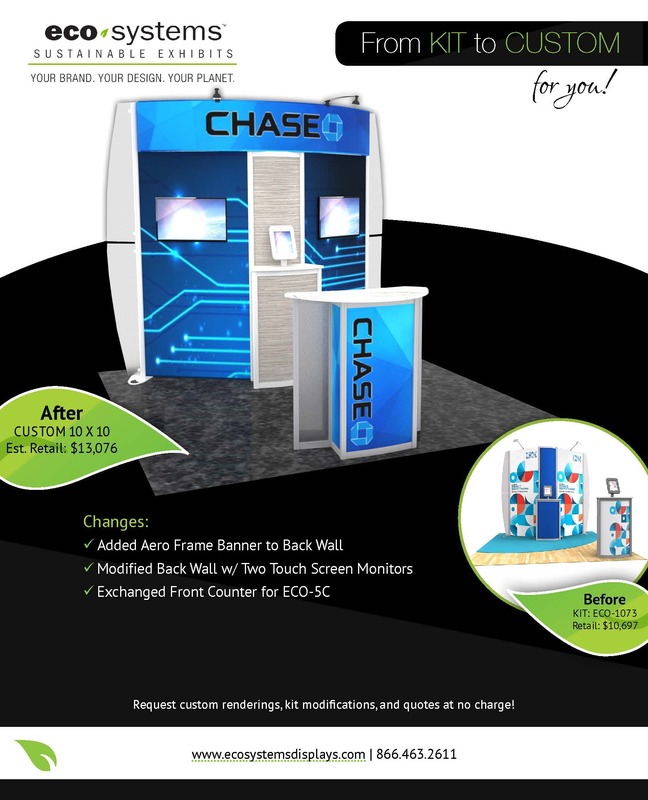 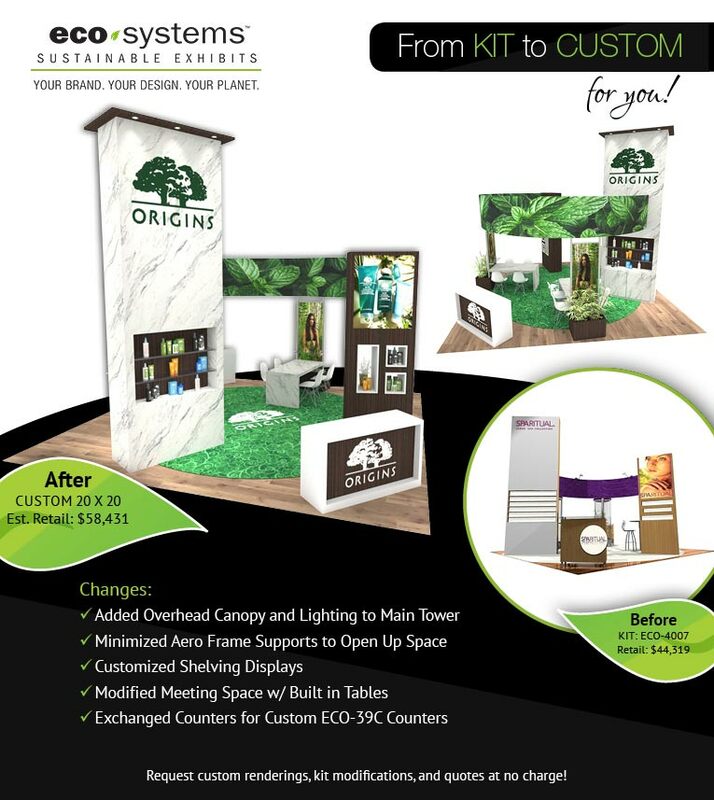 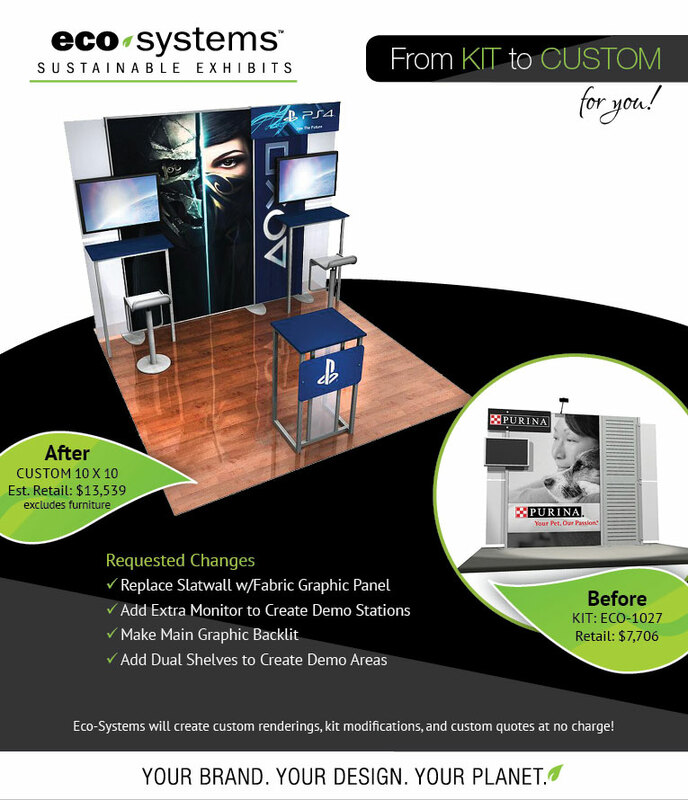 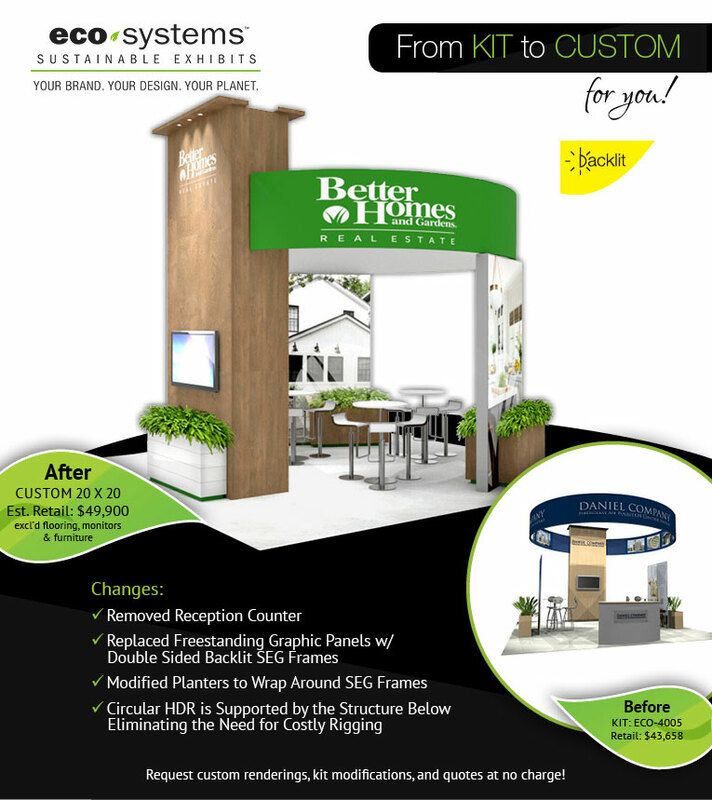 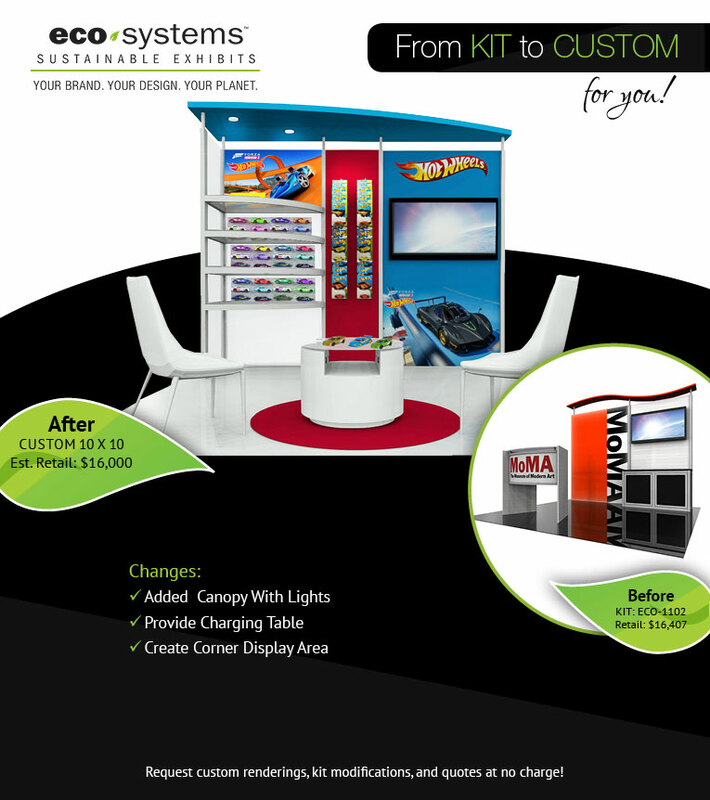 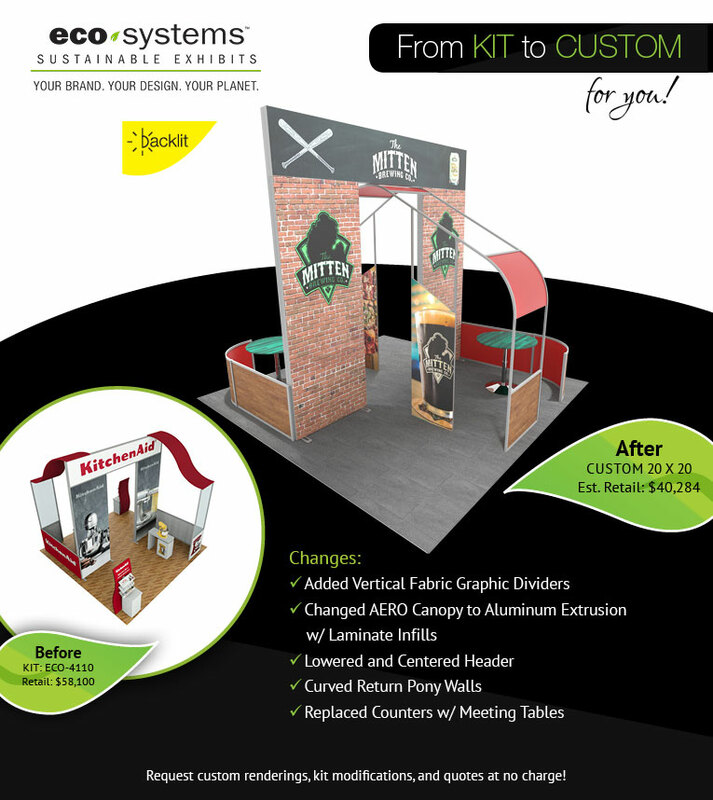 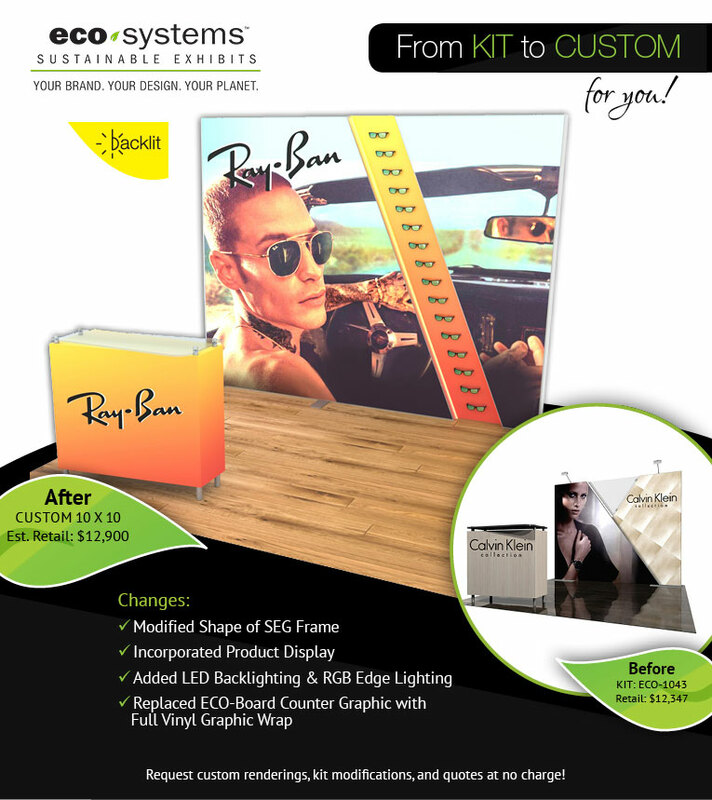 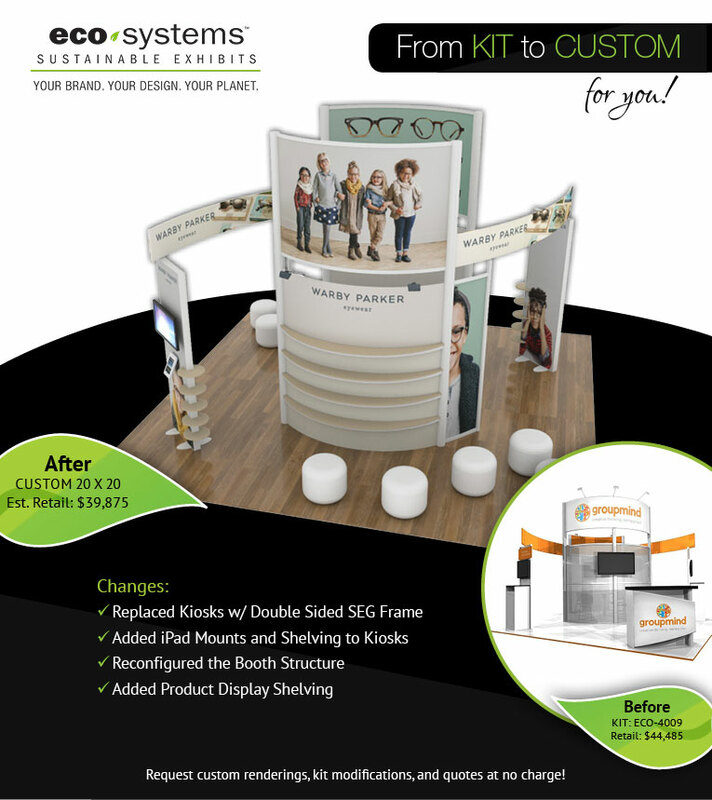 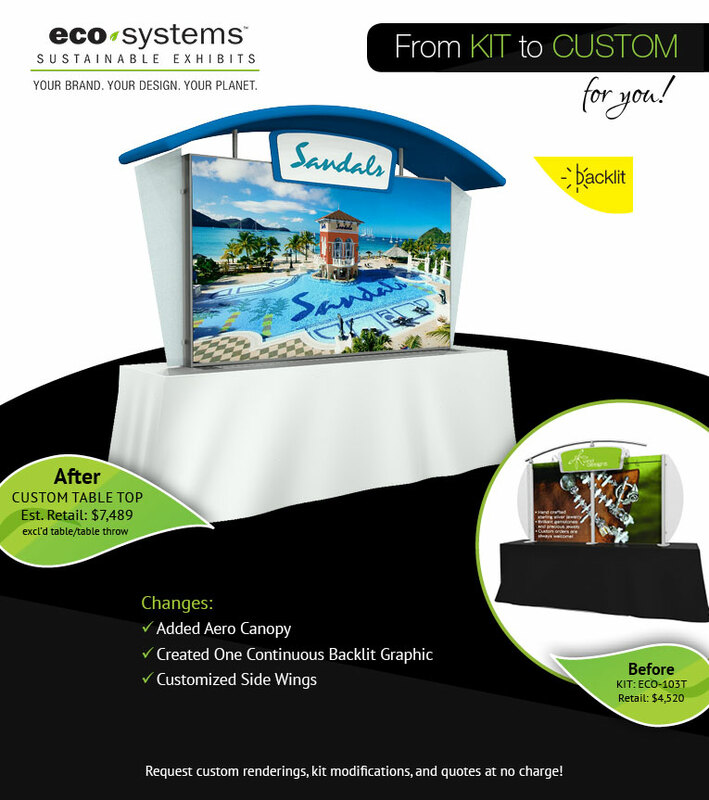 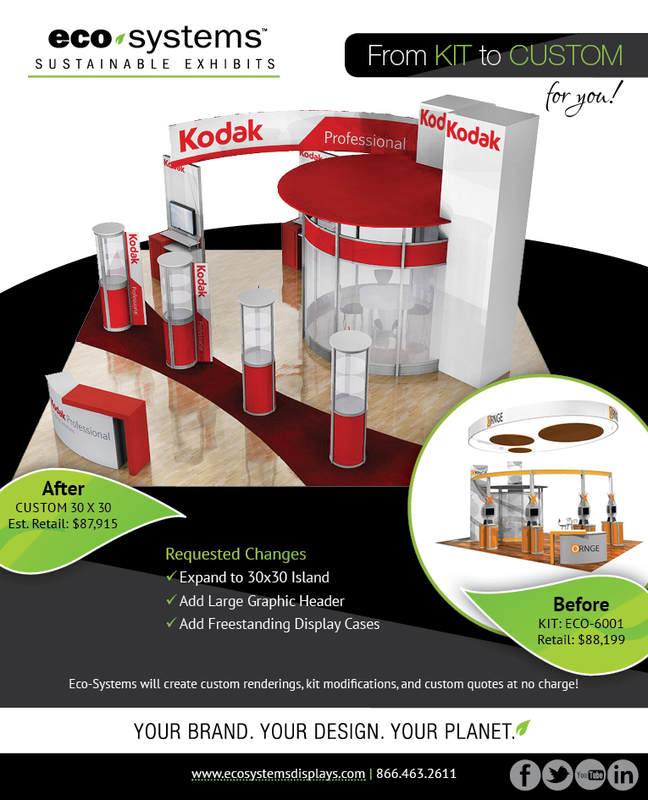 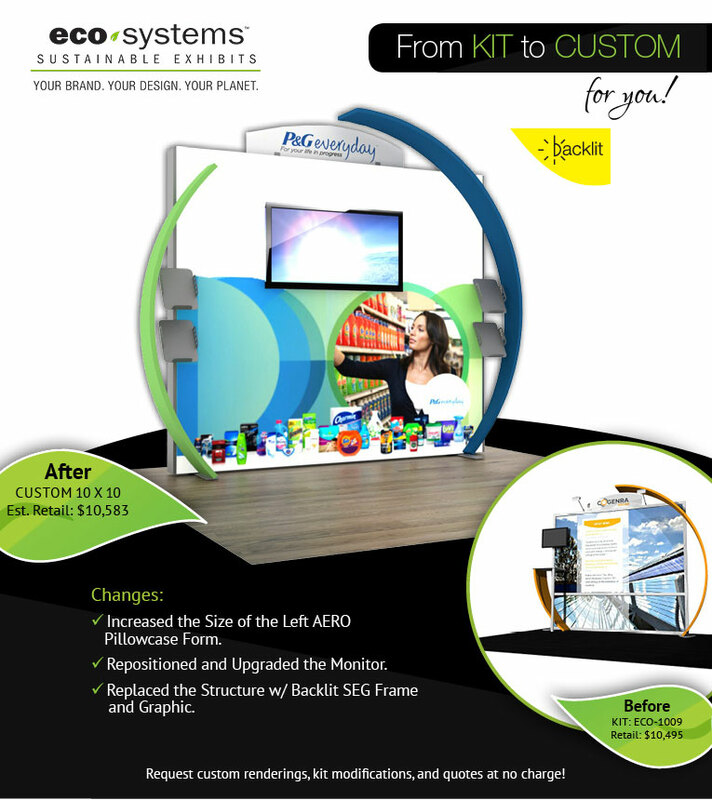 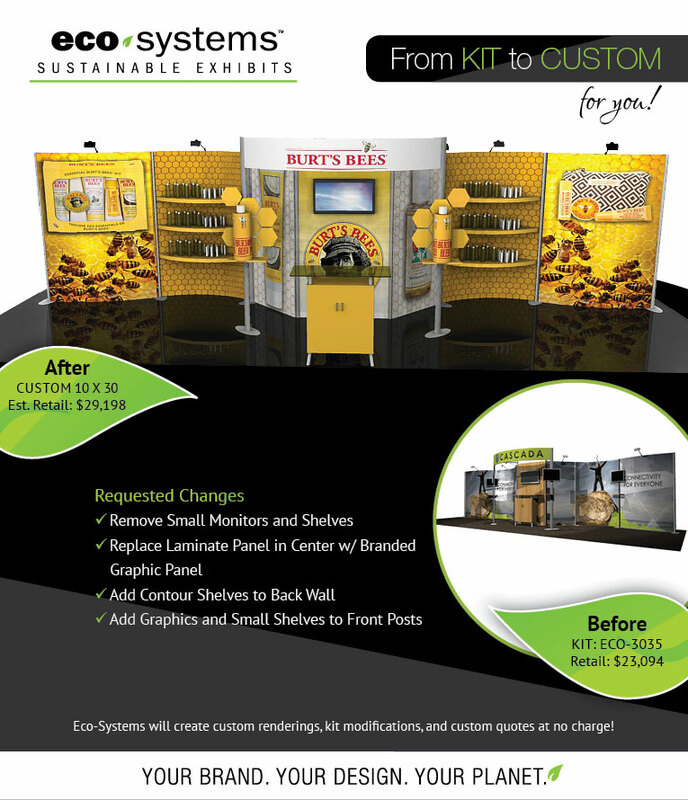 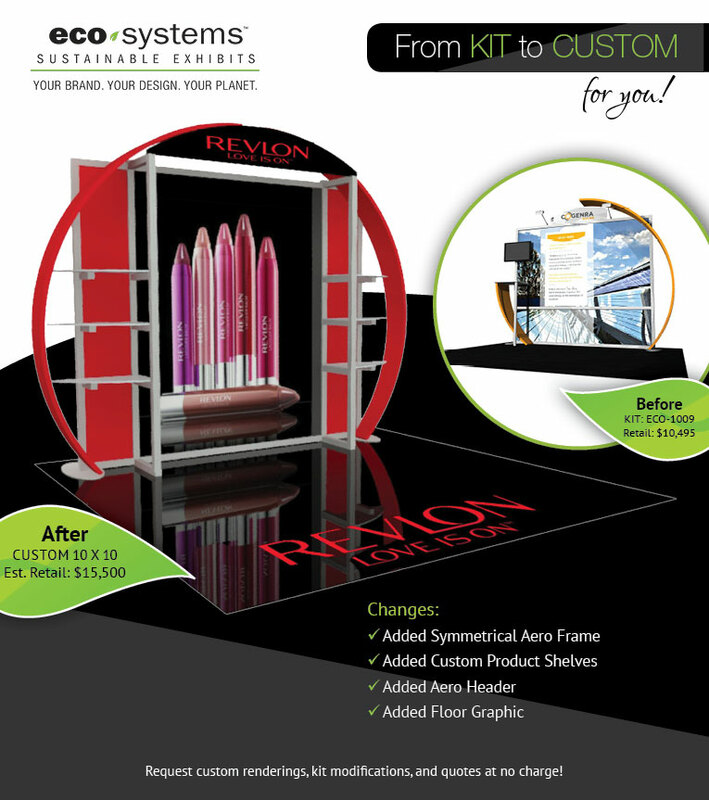 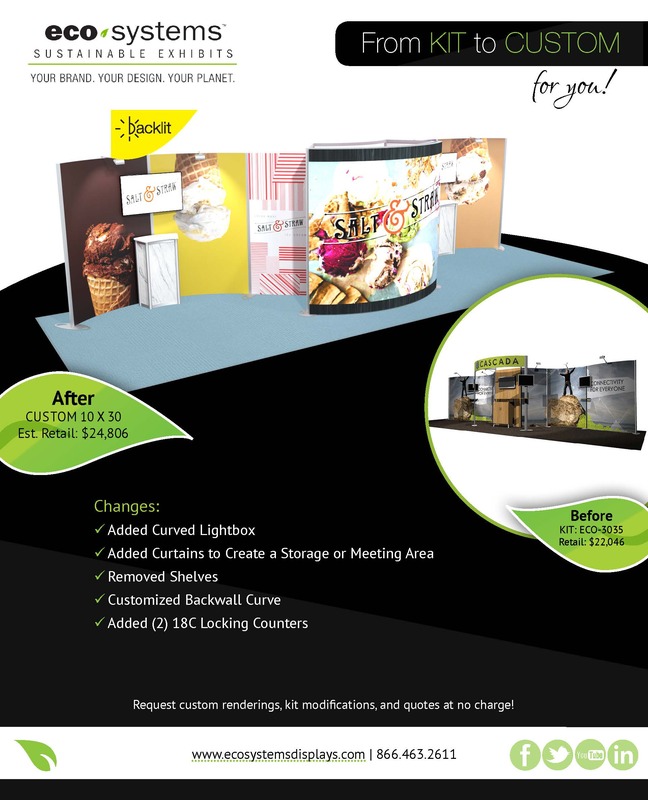 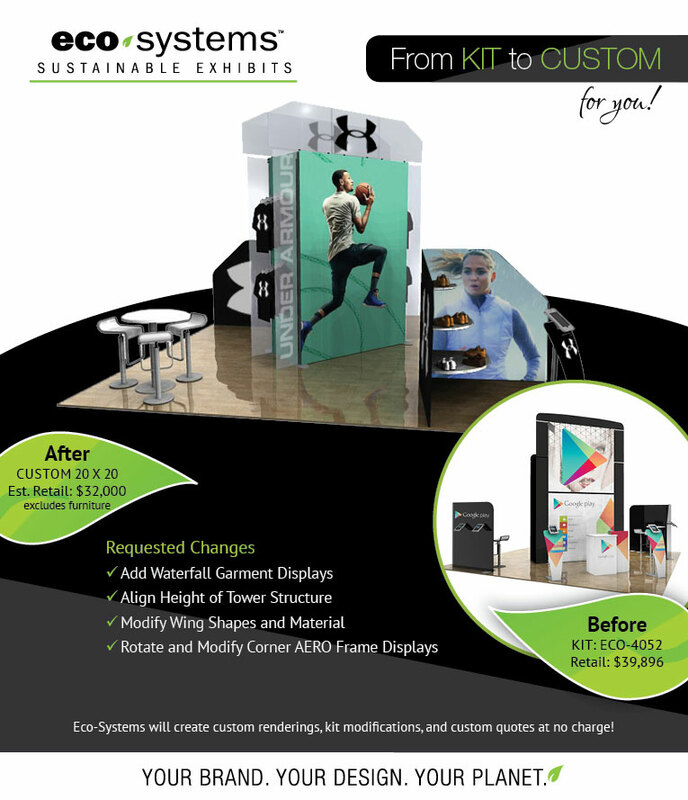 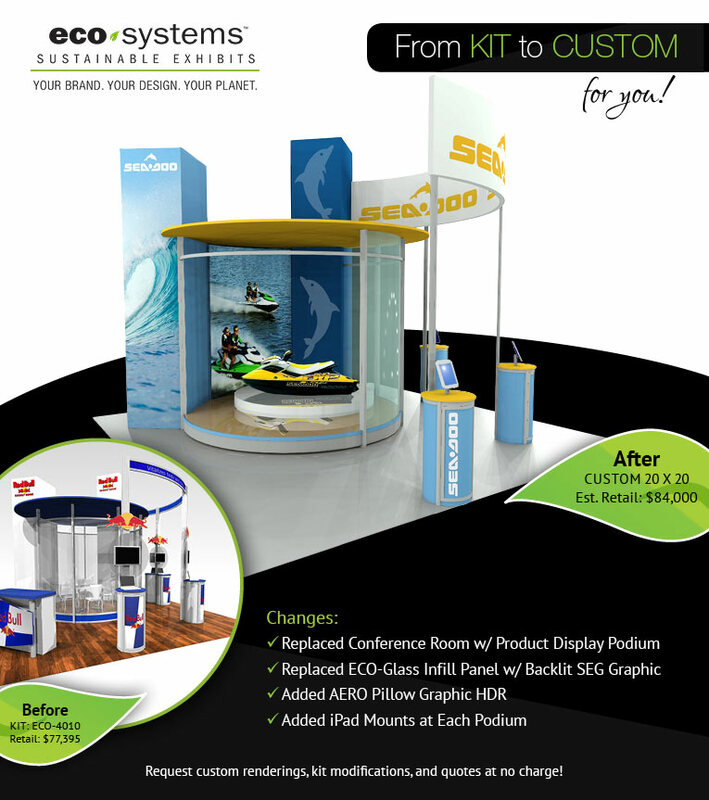 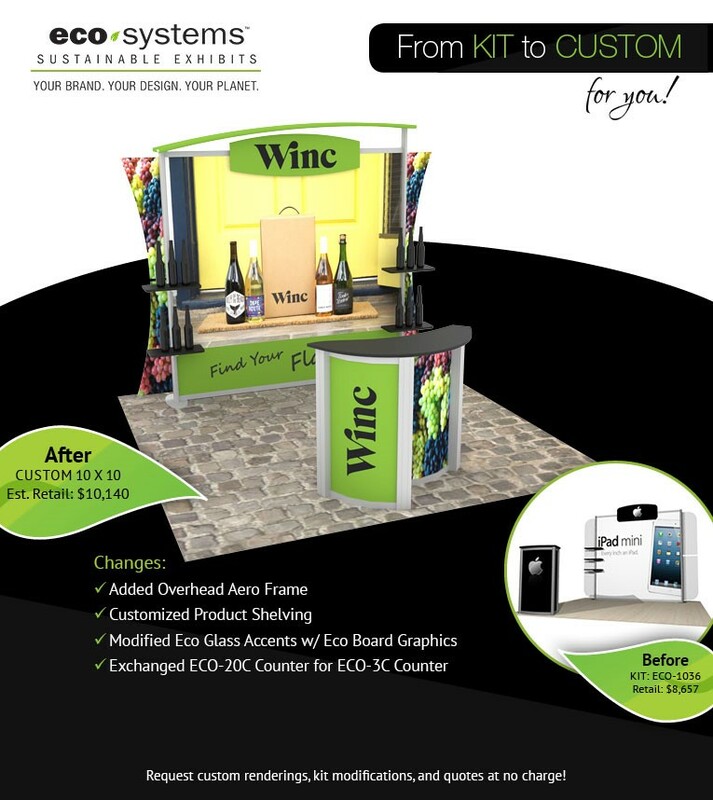 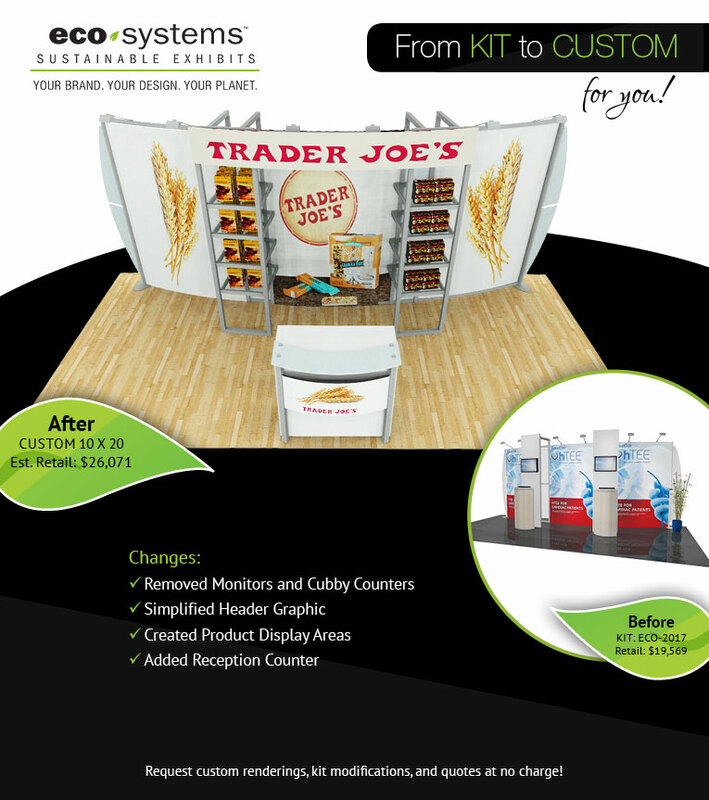 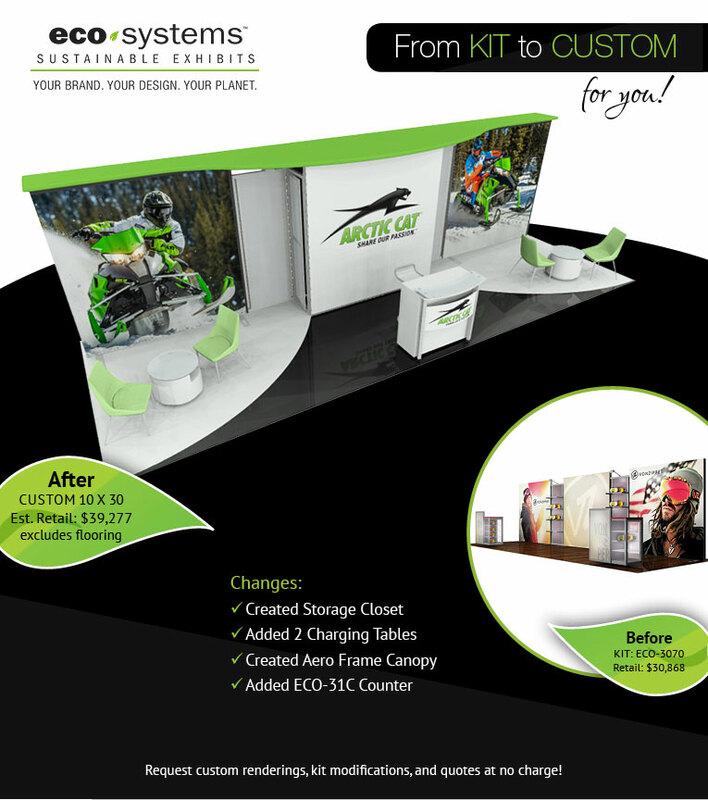 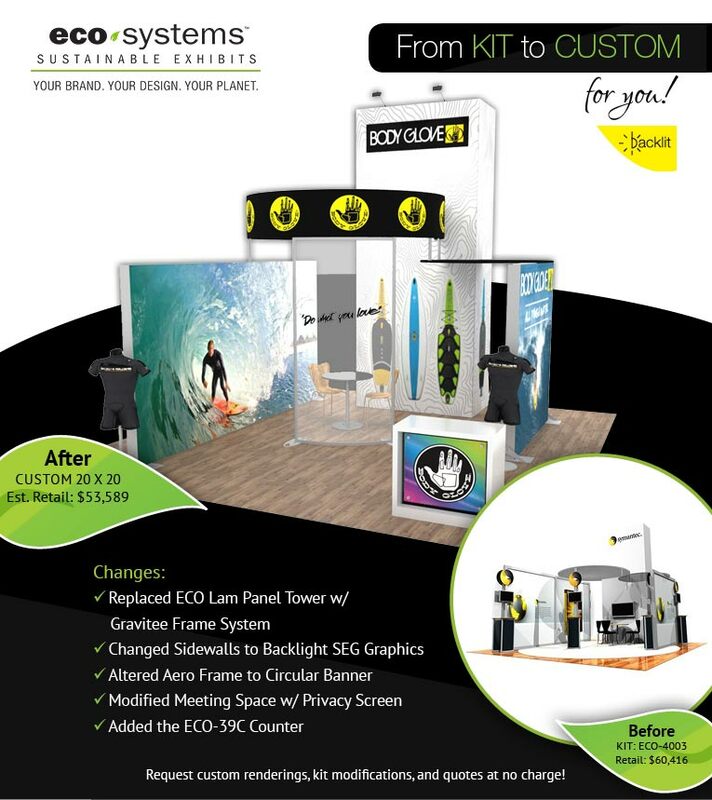 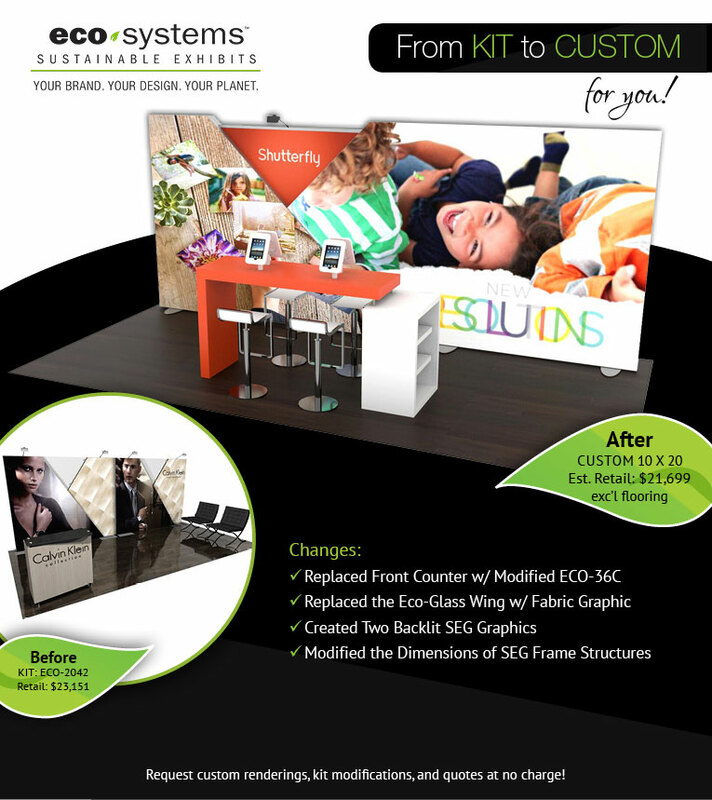 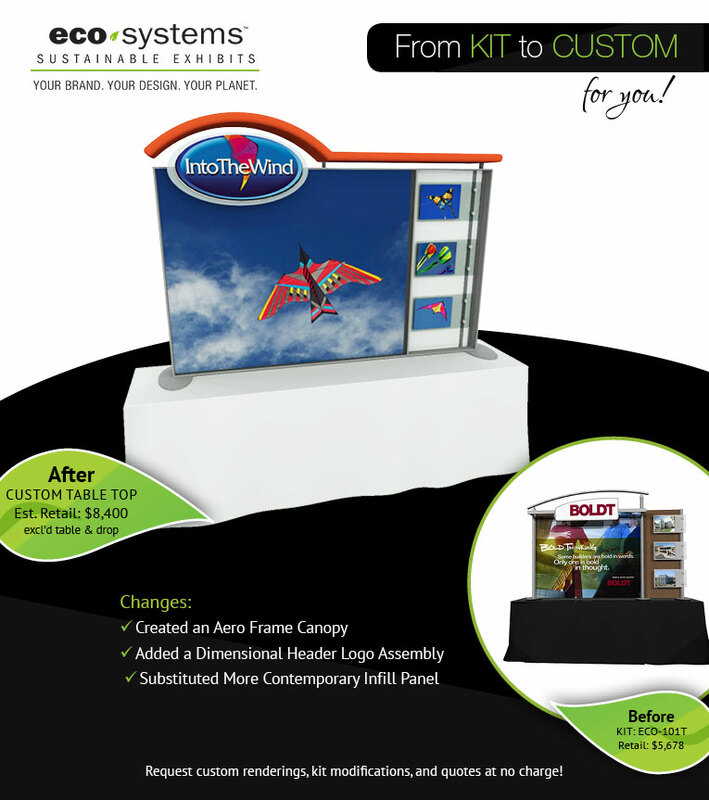 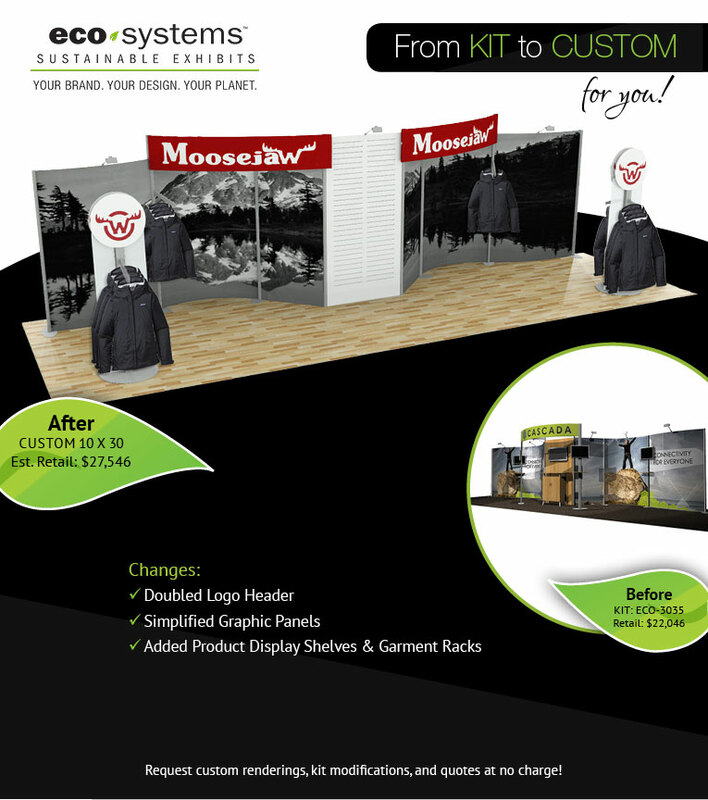 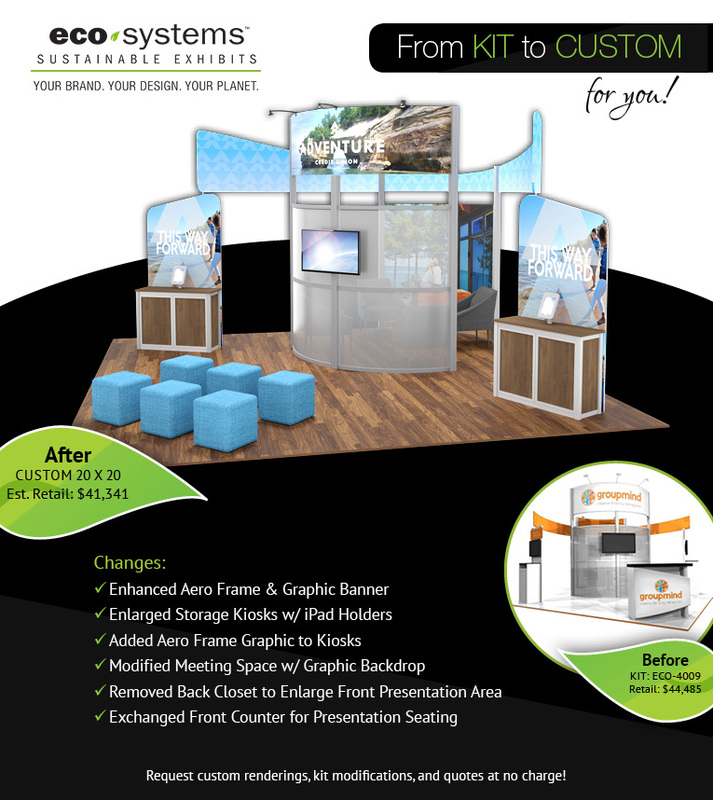 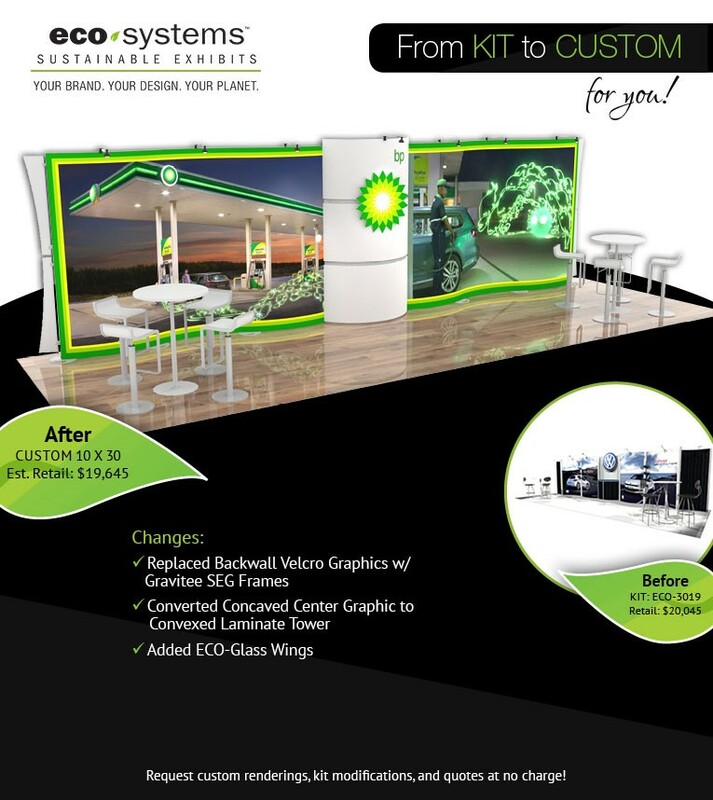 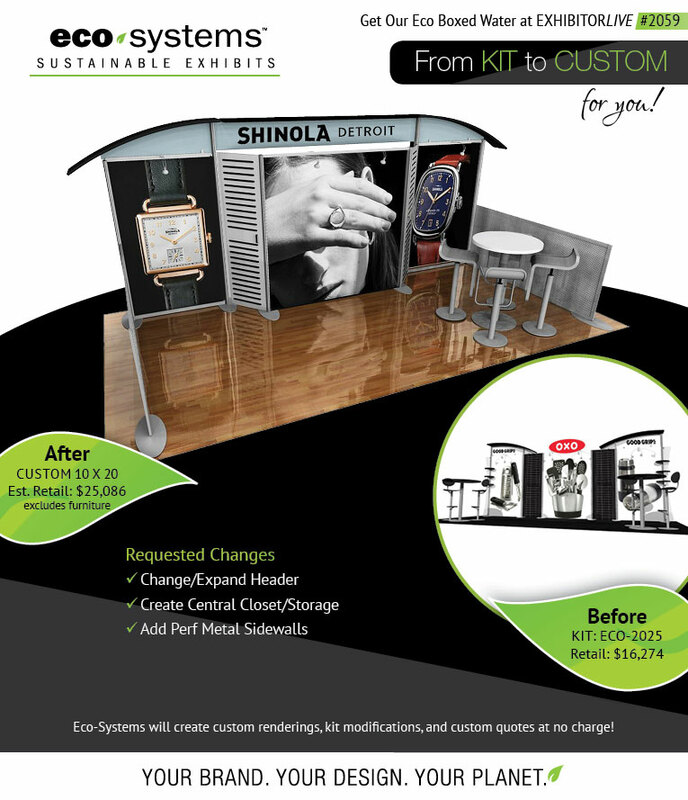 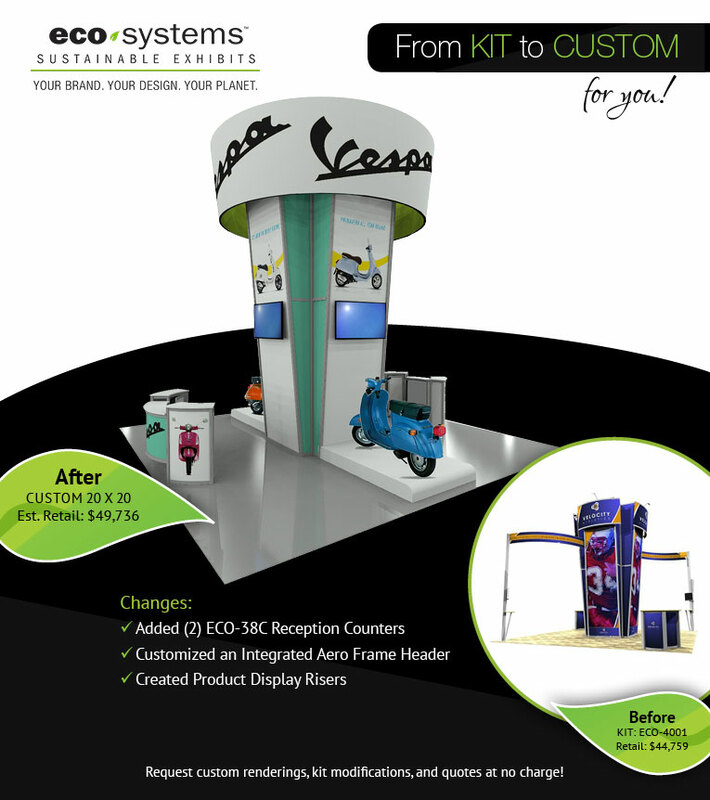 The K2C renderings show how standard kits can be modified to reflect your exhibit marketing goals. 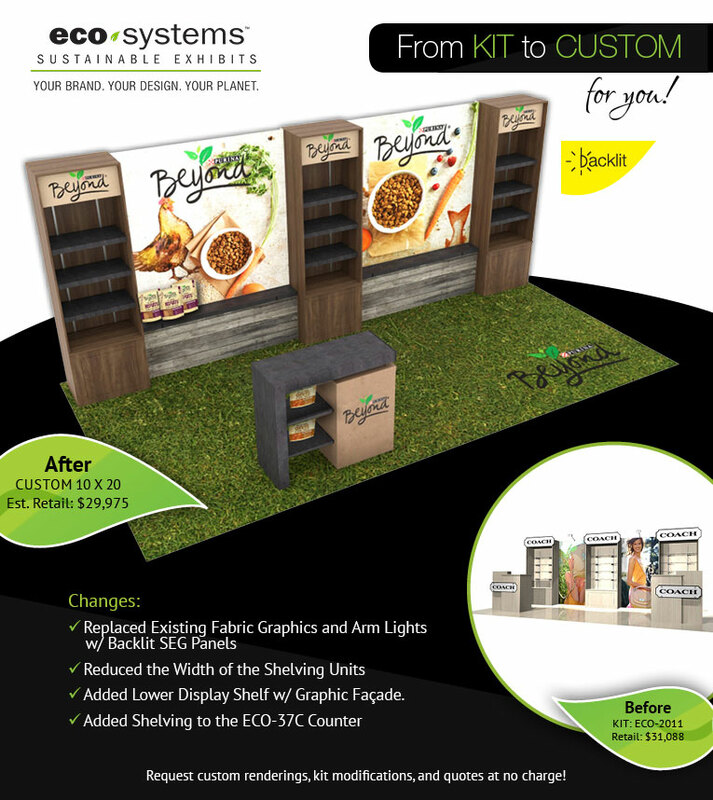 Sometimes it’s as simple as adding shelves or an alternate counter. 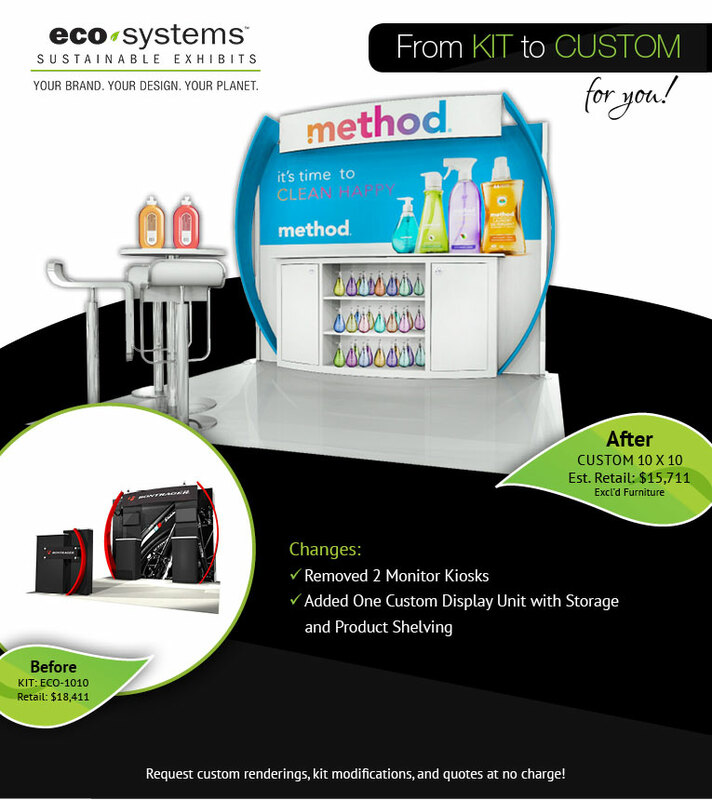 Other times, we start from a basic kit and completely transform it. 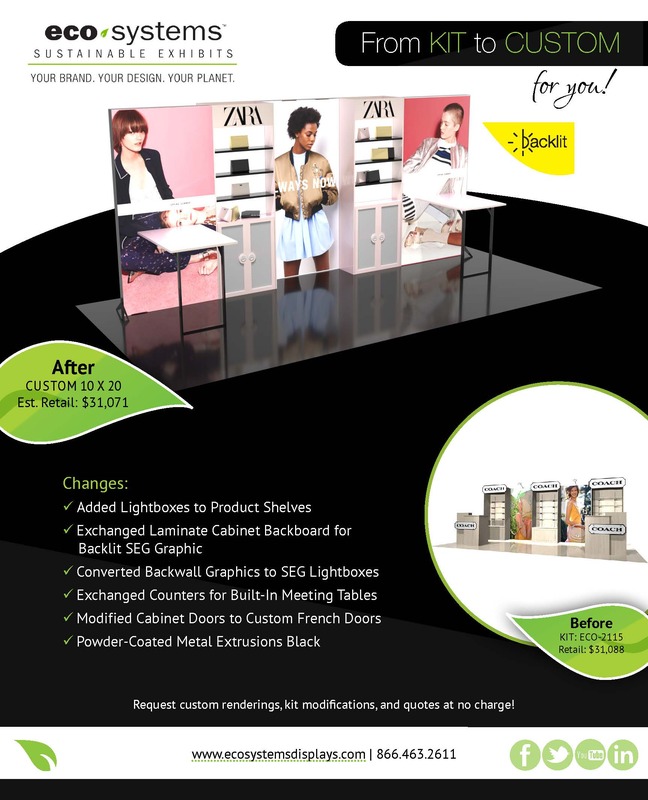 See the examples below for ideas.